I’m excited to share my top nail polish trends for 2018 with you! The past two weeks I’ve been giving my nails a break from nail polish (always a good thing!) but now I’m ready to head back to the nail salon with some trending new nail art ideas. Take a look at the top five trends I’ve uncovered for 2018. Shimmer is in and glitter is out! Shimmering nail polish is back for 2018 and the best part about it? It’s so much easier to remove than glitter! Pink is my current color of choice for the shimmer trend! Simple minimalist nail art is back on trend. If you’re ever in a hurry these nail designs are usually quick and easy to achieve. 3D nail art is a fun way to take your nail polish to new heights (literally). 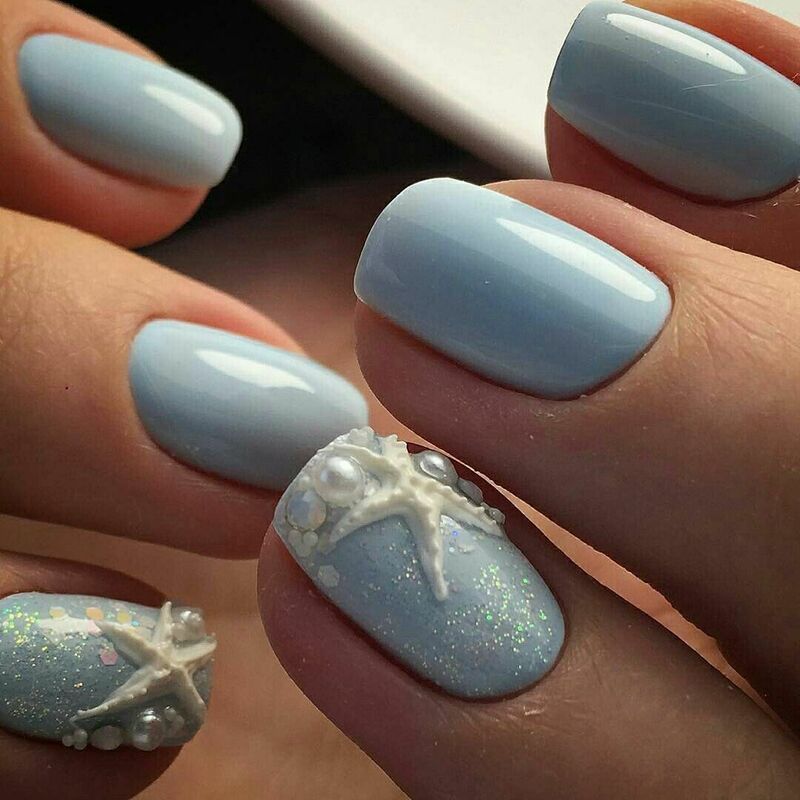 I especially love these starfish nails below! I recommend not over doing it and keeping it to a max of 4 – 5 nails. Along with shimmering nail polish, silver and gold are trending for 2018. I love the pop of metallic for Spring and Summer 2018. When you know the rules you also learn how to break them. Purposefully painting your nails so they look grown out is a new trend for 2018 and one that I’m oddly loving!